by Alice Choi | Find Alice on Facebook or Instagram. Serve these as a side dish or appetizer at your Labor Day cookout. Try this recipe plus other lighter options for a healthier Labor Day BBQ! Preheat oven to 375°F. Line a baking sheet with aluminum foil or parchment paper. Scatter the bread cubes on the baking sheet and bake for about 10 minutes. Remove from the oven and turn the heat down to 350 degrees. Place the bread cubes, roasted red bell peppers, almonds, olive oil, lemon juice, pinch of kosher salt and paprika in a food processor and pulse or process until smooth. Add the water, 1 tablespoon at a time, pulsing after each addition until the sauce reaches desired consistency. Set aside. Using a heavy bottomed pot or dutch oven over high heat, bring the stock and quinoa to a boil. Reduce heat; cover and let simmer for about 15 minutes or until all of the chicken stock is absorbed. Season with salt and sprinkle the white parts of the green onions over the quinoa and mix together gently. Remove from the heat and set aside. Using a large non-stick pan or skillet, heat the olive oil over medium-high heat. Add the mushrooms and garlic and cook for about 6 minutes or until the mushrooms have softened and browned. Add in the chopped kale, season with a pinch of kosher salt and cook until softened, for about 6 to 8 minutes. Let cool slightly; then mix with the cooked quinoa. Set aside. Trim the ends off each zucchini. Slice the zucchini in half lengthwise and, using a spoon, gently scoop out the pulp. Lay the prepped zucchini boats into a baking dish and fill each one with the kale and quinoa mixture. Repeat until all are prepped and filled. Bake, uncovered, at 350 degrees for about 25-30 minutes or until the zucchini is somewhat tender. Top with the romesco sauce, sprinkle with diced green onions and serve. *Source: mindbodygreen.com: Top 10 Health Benefits of Eating Kale, and mindbodygreen.com: Benefits of Quinoa The Supergrain of the Future. 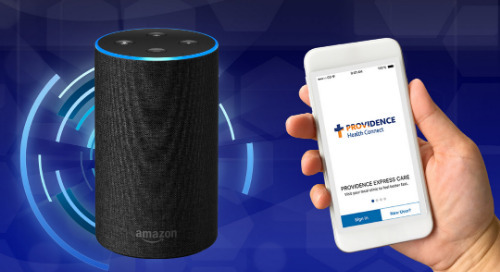 Disclosure: This is a paid, sponsored post in partnership with Providence. All opinions started here are 100% my own. Thank you for supporting me in partnering with campaigns that I believe in and feel passionate about. Patients and families may gain a new weapon in the fight against one of the world’s most devastating diseases.